Before becoming a federal law enforcement agent, Jay was a standout athlete at the University of Arizona where he played football. He became an All-Pacific-10 conference wide receiver, College Football All-American Candidate at Wide Receiver and was named to Arizona Wildcats “All-Century” football team. In 2012, Dobyns was named the “#1 Badass Arizona football player in history” by the Tucson Citizen newspaper. Dobyns graduated with a bachelor’s degree in Public Administration. After college, he played briefly in the Canadian Football League and the United States Football League. As an ATF undercover agent, he often played the role of a calculating hitman or mob debt collector. 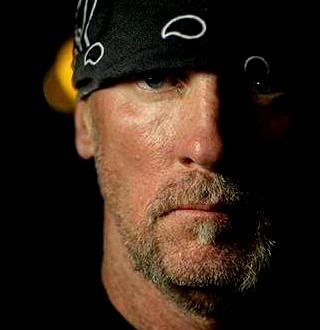 He infiltrated scores of deadly criminal enterprises while living among violent gangs, anti-government extremists, gunrunning groups, drug traffickers, organized crime members, bomb builders, home invasion robbery crews and “murder-for-hire” suspects. He participated in over 500 covert operations. Jay is perhaps best known for his landmark efforts to infiltrate the notorious Hells Angels Motorcycle gang. Over a two-year period, he was the first-ever law enforcement officer to defeat the gang’s multi-layered security measures to become a member of their legendary Skull Valley charter. 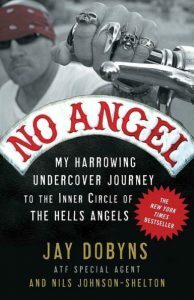 Jay’s recounts this operation in his New York Times and international best selling book; No Angel, My Harrowing Undercover Journey to the Inner Circle of the Hells Angels. 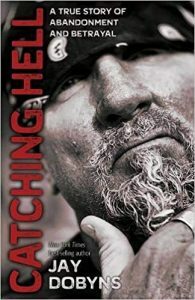 Jay second award-winning book; Catching Hell, A True Story of Abandonment and Betrayal, chronicles his life and career. His awards include the United States Attorney General’s Medal of Valor, twelve ATF Special Act Awards, two ATF Gold Stars for critical injuries received during investigative operations, an ATF Distinguished Service Medal for outstanding investigative accomplishment, the ATF Academy’s Eddie Benetez award honoring exceptional physical fitness, the International Narcotics Officers Association Medal of Valor, the National Association of Police Officers “Top Cop” Award, the International Outlaw Motorcycle Gang Investigators Association Undercover Achievement Award, and the Australian Law Enforcement Practitioners Significant Infiltration Award. He is a law enforcement trainer, a consultant to the film and television industry, and a high school football coach.